TOPIC: Guest Bob Goodman, @b0bg00dman, from WAREHOUSE 13 for USA chat, and an OPEN topic for EURO chat. 7:10 pm filmutopia: #scriptchat I was at the Apple Store today, looking at iPads. How do people feel this will effect the movie market and in turn writing. 7:12 pm DreamsGrafter: I've got a couple of animators lined up to #scriptchat with the EURO crowd but unfortunately they were away this bank hol. weekend. 7:13 pm DreamsGrafter: I will confirm date re animators guesting on EURO #scriptchat soon. 7:14 pm dcwritesmovies: @filmutopia #scriptchat It's hepful for reading scripts, that's it. No keybrd, can't stand up, seems akward to me. 7:15 pm dcwritesmovies: @filmutopia #scriptchat - however, can see it being useful on a set with a completed script. 7:19 pm chained: #scriptchat I can do a #funny #voice ideal for #animated #movies who should I contact to get #work ? 7:19 pm filmutopia: @DreamsGrafter #scriptchat - Damn I meant to congratulate you for making that film the other day and got distracted. Well done, make more! 7:24 pm dcwritesmovies: @filmutopia OH! haha #scriptchat Um, not totally sure. I think we're due for a technology backlash and this could bring it. 7:27 pm momentsoffilm: Hello all at #scriptchat.. I'm late, have I missed much? 7:31 pm HayleyMckenzie1: Hi #scriptchat guys. Thinking of launching a US Script Angel. Any good website for US screenwriting comps? 7:34 pm Phatbassline: #scriptchat anyone got any examples of how a script would be formated to show for example twitter / facebook feeds? 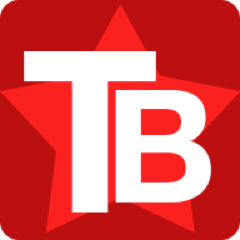 7:34 pm dcwritesmovies: @filmutopia #scriptchat --still need to resolve our issues over reaching our target audience and the ipad dont' help us there. 7:36 pm filmutopia: @dcwritesmovies #scriptchat no single thing is "the answer" ... I just don't think people understand how game changing this product is. 7:36 pm rabbitandcrow: #scriptchat Smart content producers will create, for example, extras that take you on walking tours of locations a movie was shot. 7:37 pm dcwritesmovies: #scriptchat - what I do find interesting in the ipad, 3d film writing is the idea that consumers are more interested in senory expirences. 7:38 pm rabbitandcrow: #scriptchat Movies, with iPad & related tech, can actually interact with the physical location of the viewer and time of day. 7:39 pm DreamsGrafter: @Pale_Jewel It really is about the script. Quite reassuring really. #scriptchat ... i.e. gives you reason to just keep at it. 7:40 pm rabbitandcrow: #scriptchat Down the line, the "iPads" will become mobile storytellers who will adapt to the needs of their users. Mini Scheherazades. 7:41 pm b0bg00dman: Before embarking on #scriptchat in a few hrs, should mention that I'm uncomfortable with the implicit suggestion that I know anything. 7:44 pm DreamsGrafter: RT @b0bg00dman: Before embarking on #scriptchat in a few hrs, should mention that I'm uncomfortable with the implicit suggestion that I know anything. 7:44 pm filmutopia: #scriptchat I'm just thinking that the shift from cinema to TV definitely affected styles of storytelling. iPad is even more intimate. 7:45 pm DreamsGrafter: RT @filmutopia: #scriptchat I'm just thinking that the shift from cinema to TV definitely affected styles of storytelling. iPad is even more intimate. 7:49 pm momentsoffilm: Agree! RT @dcwritesmovies: @filmutopia #scriptchat I see you're point. However, we're still talking about a SMALL market share. 7:51 pm dcwritesmovies: @filmutopia #scriptchat of the world still don't have computers. 7:52 pm rabbitandcrow: @momentsoffilm #scriptchat Most of the current use seems to be just high-tech versions of strategies used since the 1950's. 7:53 pm rabbitandcrow: @momentsoffilm #scriptchat I'm wondering what'll happen when we're able to think about text & image, voice & movie, time & space in one art. 7:54 pm rabbitandcrow: @momentsoffilm #scriptchat And how do you write that? The writer of the future has to be a composer, painter, & storyteller - and physicist! 7:55 pm dcwritesmovies: @filmutopia #scriptchat. I agree Independent movies need the biggest marketshare pipe line they cn get, wouldn't writing 4 ipad limit that? 7:56 pm rabbitandcrow: @DreamsGrafter #scriptchat Yes. Movie experience becomes even more solitary & intimate - booklike. You can take your movie to bed. 7:58 pm rabbitandcrow: @momentsoffilm #scriptchat Yes. I think you do have to keep all that in mind & remember you're writing image & sound & rhythm. 8:02 pm dcwritesmovies: @thewritertype #scriptchat - but don't you think that limits your audience? 8:03 pm DreamsGrafter: #SCRIPTCHAT REMINDER for next week: We'll be discussing CHINATOWN script at our next SCRIPT NIGHT: http://bit.ly/csGZRD ... SO can't wait! 12:01 am SPCWriter: RT @b0bg00dman: friends: abt to start scriptchat guest tweeting. Will do my best not to bombard the rest of u w tweets. search #scriptchat if u want to see. 12:04 am GCGeek: Alright friends! 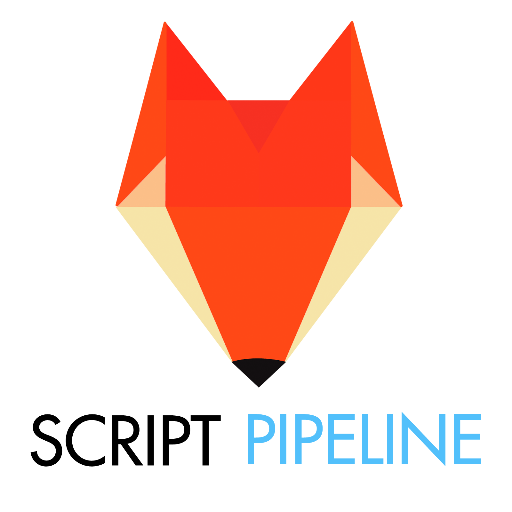 It's time for #ScriptChat. Ignore my stream if you ain't into scriptwritin' and whatnot. 12:04 am greyfoxgrandma: I've entered my script into the Austin Film Festival contest. #scriptchat And, have other projects. Mmm, what's next? 12:07 am UncompletedWork: #ScriptChat is on right now. Warehouse 13 writer @b0bg00dman is taking questions talkin' his craft. Check it out. 12:07 am SWKaraoke: #ScriptChat is on right now. Warehouse 13 writer @b0bg00dman is taking questions talkin' his craft. Check it out. 12:12 am thinkStory: Q @b0bg00dman #scriptchat What distinguishes a TV writer from a film writer? 12:12 am nopantsisland: Q @b0bg00dman via #ScriptChat - how do you manage the challenge of a producer who "doesn't know what they want, but will when they see it" ? 12:16 am Donna_Carrick: #scriptchat @jeannevb Amlurking! 12:16 am jeannevb: is @so_you_know ? RT @Donna_Carrick: #scriptchat @jeannevb Amlurking! 12:24 am PaulTheBookGuy: #scriptchat The character is an A.I. lifeform, and at first they fear her. One character calls her "Skye" as in "Sky Net" is that illegal? 12:25 am PaulTheBookGuy: #scriptchat I assume reference to pop fiction is allowed under fair use. The mere mention of a kid in a cape isnt a lawsuit for DC is it? 12:25 am thinkStory: @jeannevb my plan is to be such a great writer, they dont care I dont live in LA #scriptchat // or just stay with me when you're in town! 12:37 am SPCWriter: Writing is the easy part getting an agent is the hard part. #scriptchat Whats the point of writing if you have no agent? 12:40 am blankethouse: @b0bg00dman @yeah_write I always get so inspired by #scriptchat and the great guest, I wanna run out and write the world red! 12:44 am sdarancette: RT @jeannevb: @sdarancette she's challenging ur multitasking abilities ;) #scriptchat Yes it's obnoxious. 12:44 am so_you_know: @jeannevb #scriptchat IS SO FASCINATING. i like. i like! 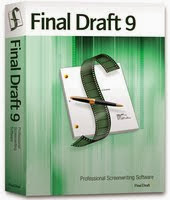 12:46 am PaulTheBookGuy: #scriptchat what's your favorite script writing software? @me! 12:50 am slushpilehero: @jeannevb omg, did i make it in time for #scriptchat ???? 12:52 am jameskick: Ah, #scriptchat tonight looks to be on TV Writing. Our team is plotting two series right now -- both are unannounced. 12:52 am jameskick: I haven't been able to join #scriptchat due to travel and work obligations the past few weeks -- hope to return next week! 12:53 am jameskick: Anyone have favorite advice from tonights #scriptchat? 12:54 am DoubleNW: Wow... #scriptchat is blazin 2nite :) Of course I came late. Playing catch up!! 12:57 am sdarancette: Q@b0bg00dman Wait! Wait don't end yet. Tell everyone when you're next eps of WH 13 will air, please? #scriptchat. 12:57 am GeneMarie1: @b0bg00dman So happy you were on #scriptchat tonight! 12:58 am boycaught: @yeah_write @jeannevb and special guest @b0bg00dman: thanks for a great virgin taste of #scriptchat. good knowledge in 140-char chunks! 1:00 am josephvales: this #scriptchat really motivated me, must start righting NOW! Thank you everyone! 1:03 am KageyNYC: Ah, the exhaustion has just kicked in (VERY long week! ), so goodnight fair #scriptchat! 1:09 am DoubleNW: With 4 finished scripts... Knowledge is most important 2 me because I am on my way 2 success n this biz :) #scriptchat is an Awesome tool!!! 1:10 am thinkStory: @b0bg00dman @ozzywood wheeee! Thanks! #scriptchat // Hey! I helped! 1:12 am DoubleNW: @so_you_know I'm a regular @ #scriptchat - I'm just never on time... Hope u stick around :) Awesome nfo 4 film-writers! !